Dr Crokes manager Pat O'Shea. ©INPHO/James Crombie. Pat O'Shea has called time on his tenure as manager of All-Ireland Club finalists Dr Crokes. "The Club announces that Pat O'Shea has stepped down as manager of our Senior Football Team. This was Pat's own decision and he will be taking up other roles within the Club. 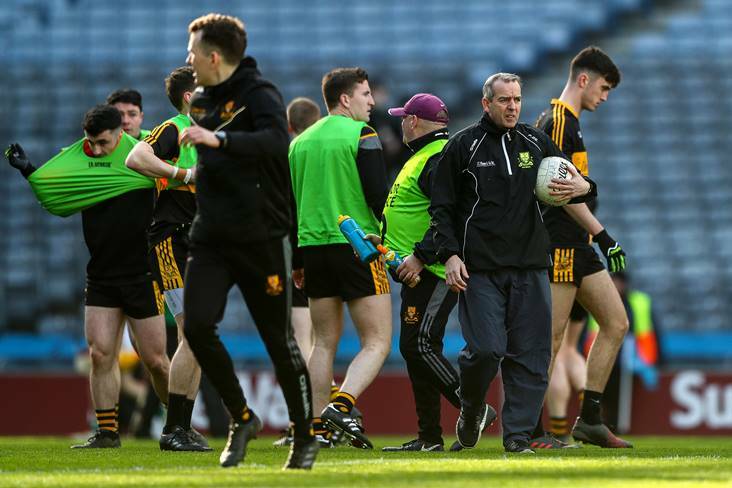 "We thank Pat for his enormous contribution to Dr Crokes over the past 3 years during which time he delivered one All Ireland, two Munster Championships, three County Championships as well as County Club, County League and an East Kerry Championships. "We play in Division 1 of the County League tomorrow against Kerins O Rahllys and the team will be managed by Edmund O Sullivan and the rest of the existing management team. "The Club Executive will meet during the next week to formally consider what, if any, changes will be made in the management team and will be announcing the result as soon as possible following that meeting."